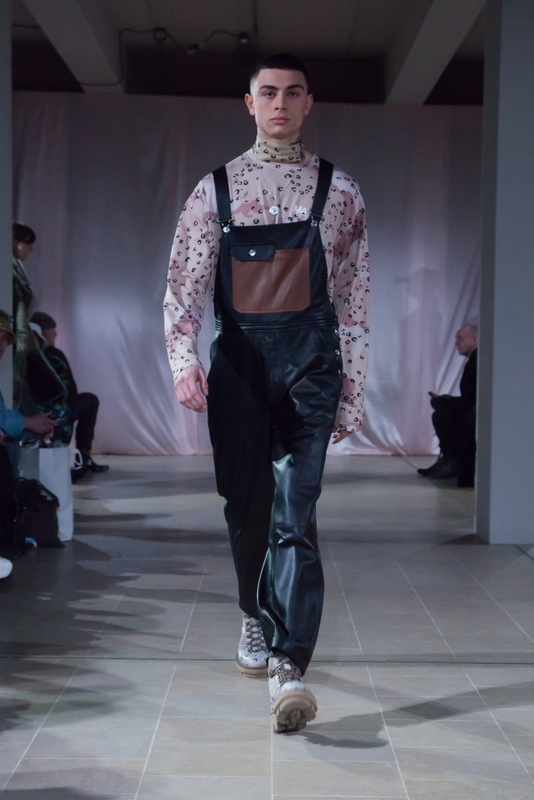 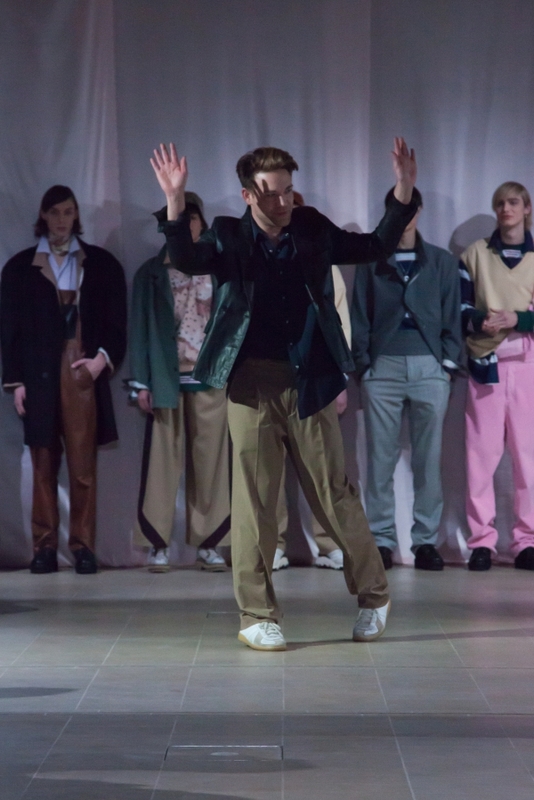 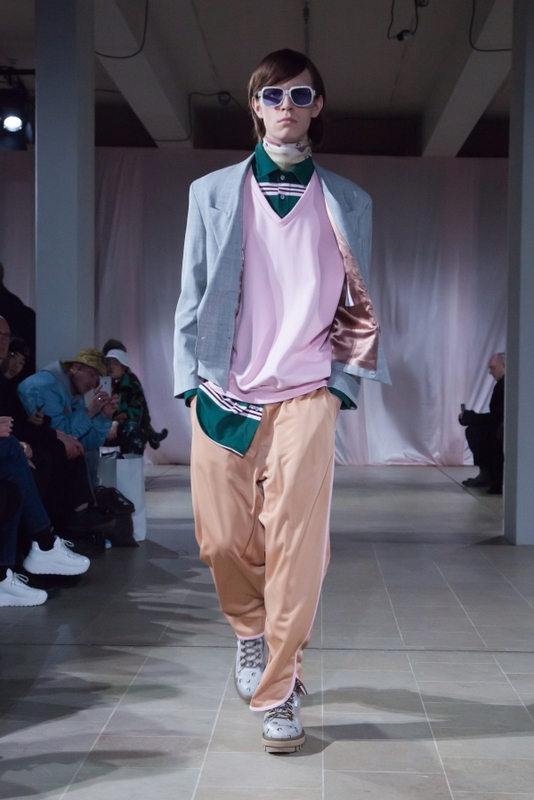 Martin Asbjørn presented his AW19 collection “Freedom” at Copenhagen Fashion Week blending modernity with tradition. 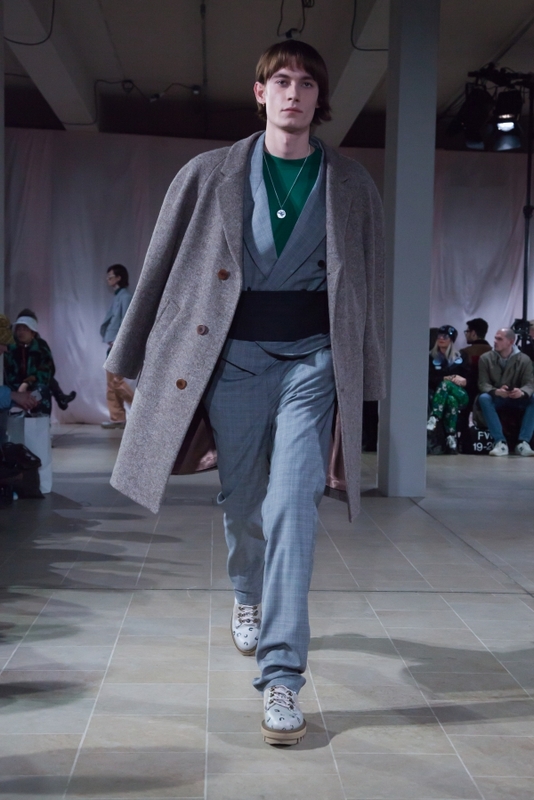 The Danish designer continued the resurrection of his tailoring background, reimagining and revitalising the codes of traditional menswear, the collection continues the relaxed yet still design-led aesthetic of the brand and again, Blending nostalgia with present daylike his last season’s collection. 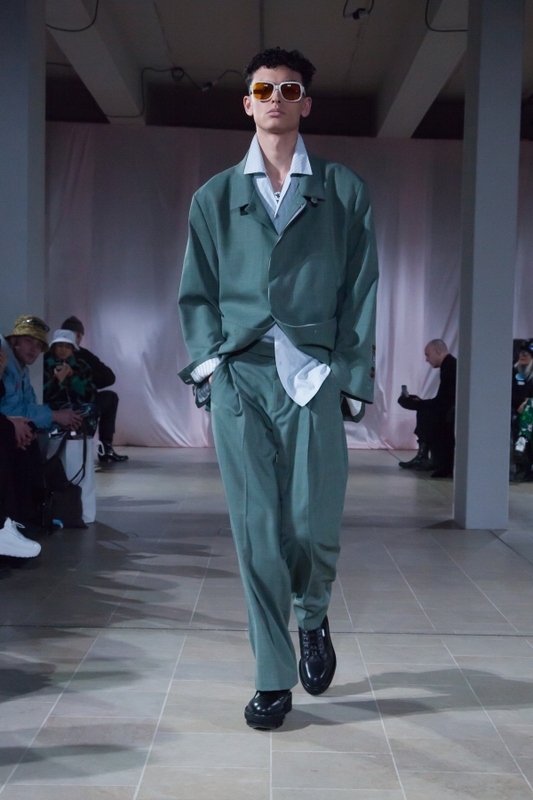 Although inspired by the new wave in youth culture that took over the early 90’s, Asbjørn elevates the idea of streetwear into a more luxury territory,using a variety of silhouettes and materials and taking references from not only the sharp tailoring of the 1930’s but also the more playful, bold tailoring of the sixties. 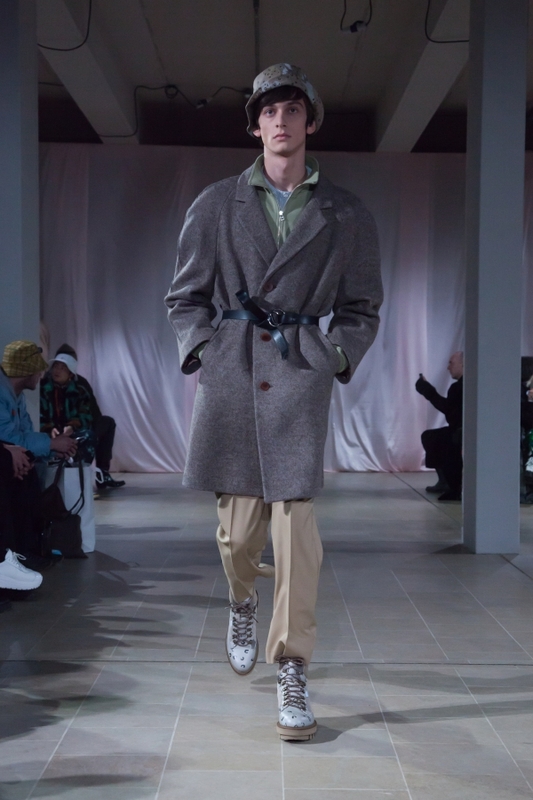 Sharp overcoats, off-duty two pieces and an overload of stripes appear on the runway, while sportswear is still apparent in a more sophisticated way. 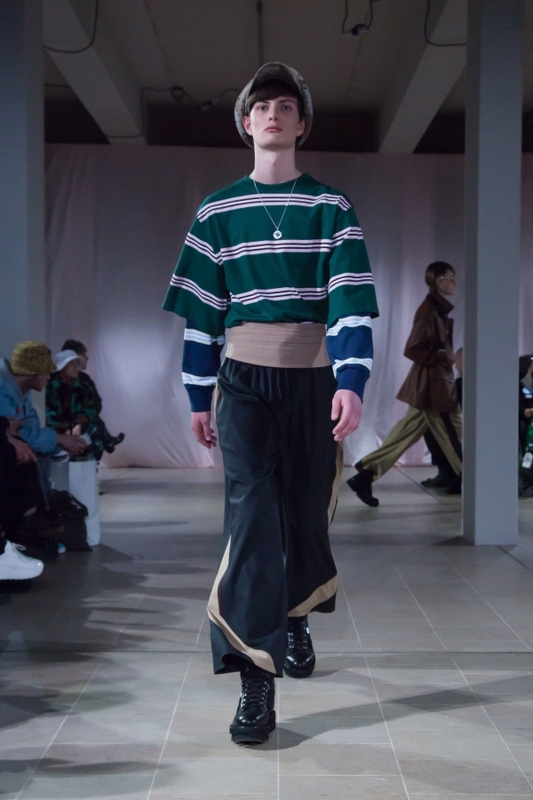 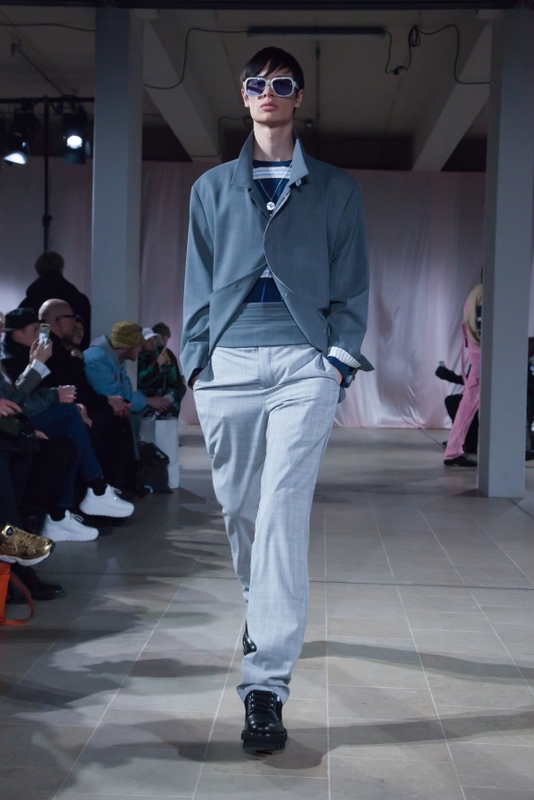 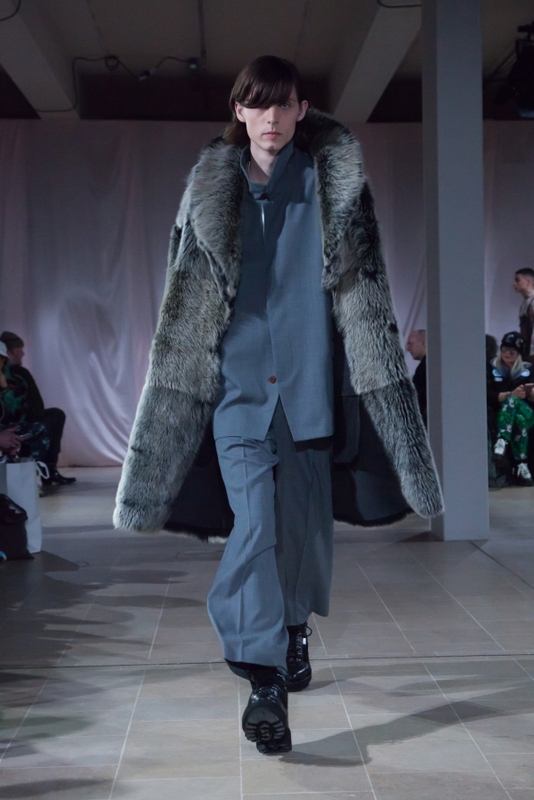 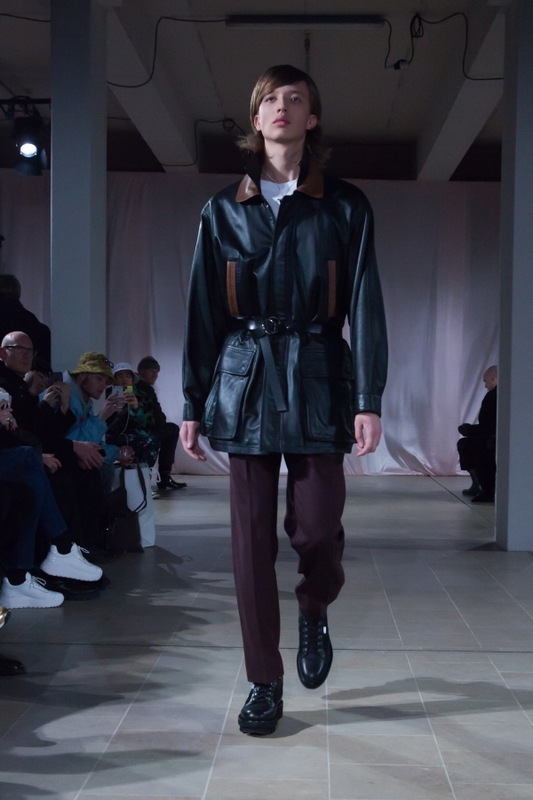 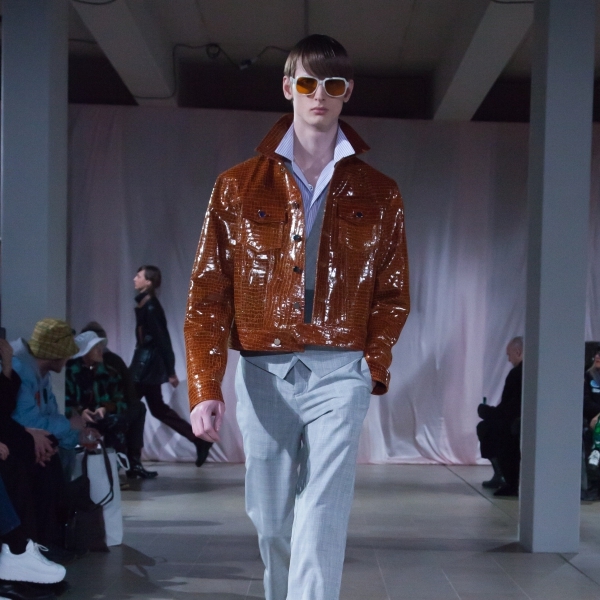 This is sportswear for ‘grown ups’ “Serious but not jovial, stylish but not dull” explains Asbjørn. 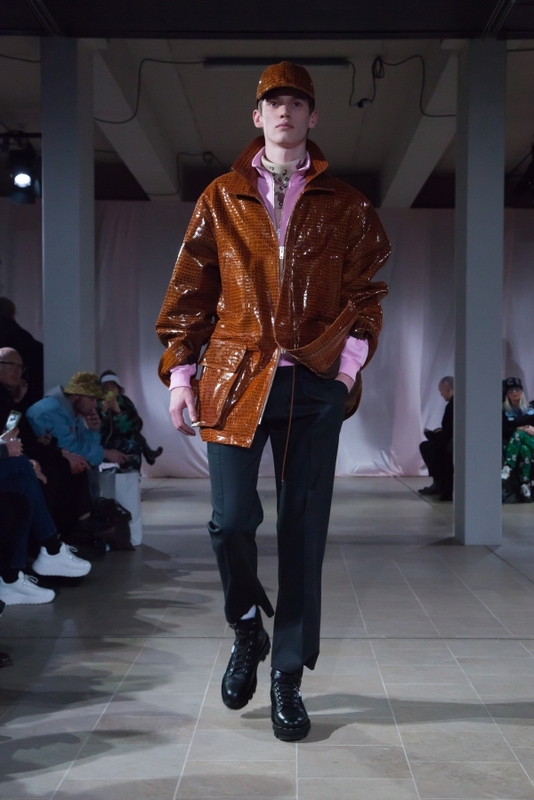 Defining elements of the collection not only include the expansion of Asbjørn’s core basics line, with entry level hats and t-shirts for his loyal fanbase but also stand-out styles including a reversible shearling coat, overalls in baby pink corduroy and of course the leather ‘Dad Jacket’ in an outrageous, shimmery croc effect. 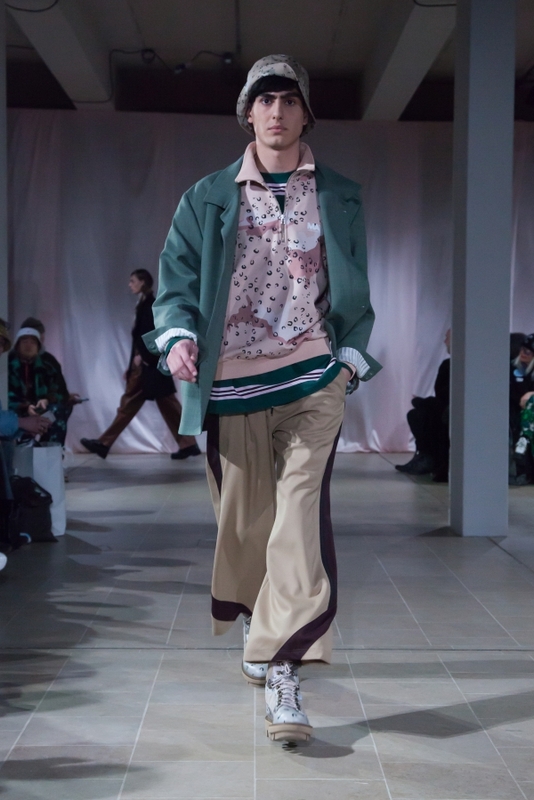 The AW19 collection also sees the brand first footwear style, collaborating with PREGIS to create a military inspired boot in the camo/leo print of the season. 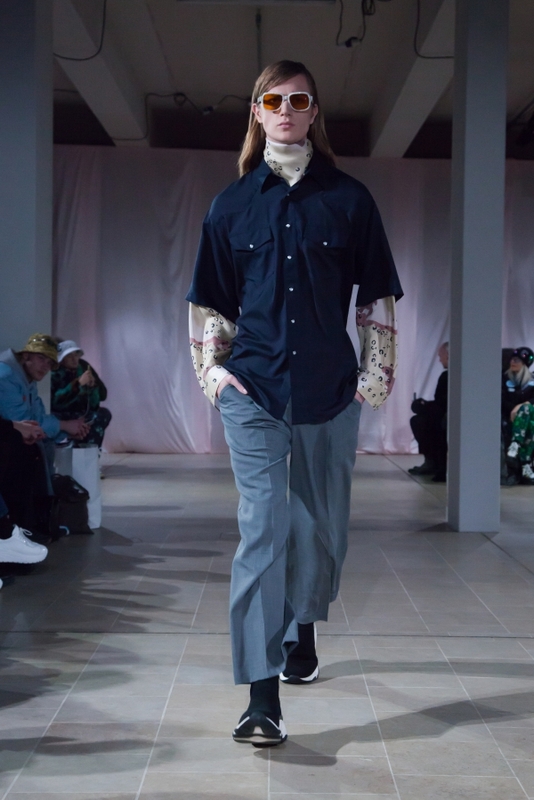 Once again the designer created a carefully considered collection of everyday wardrobe staples with his signature laid-back tailoring. 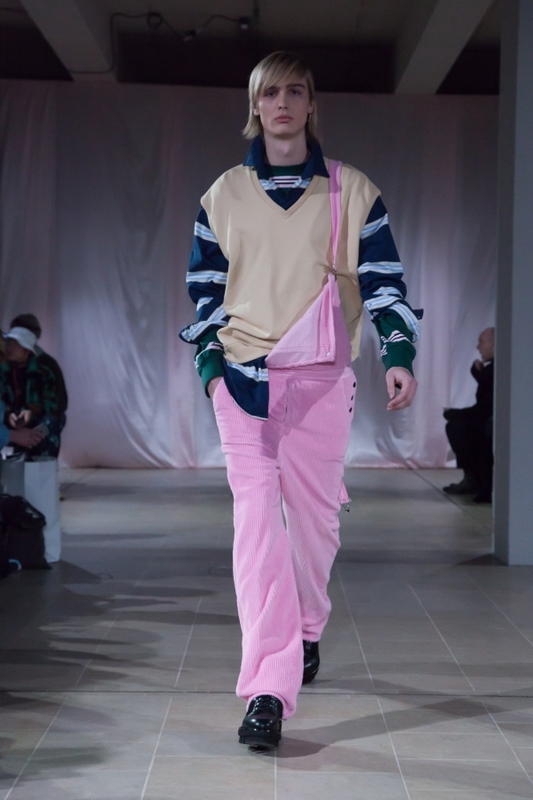 Although Changes are happening within menswear, Martin Asbjørn stays true to his unique style, proving that he is definitely here to stay.